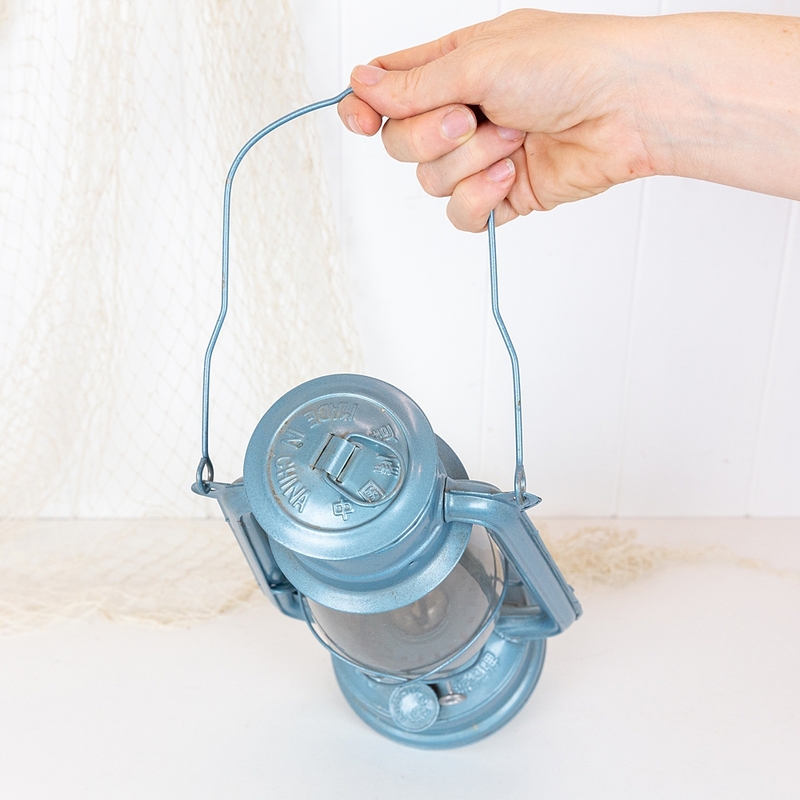 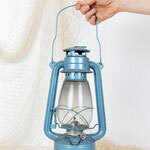 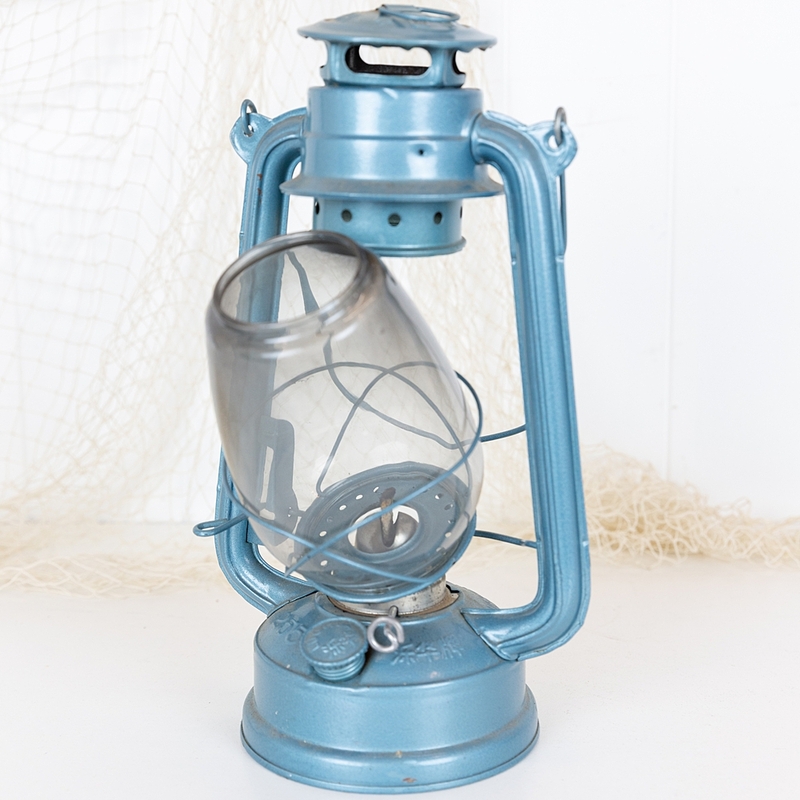 This little paraffin lantern was made in China. 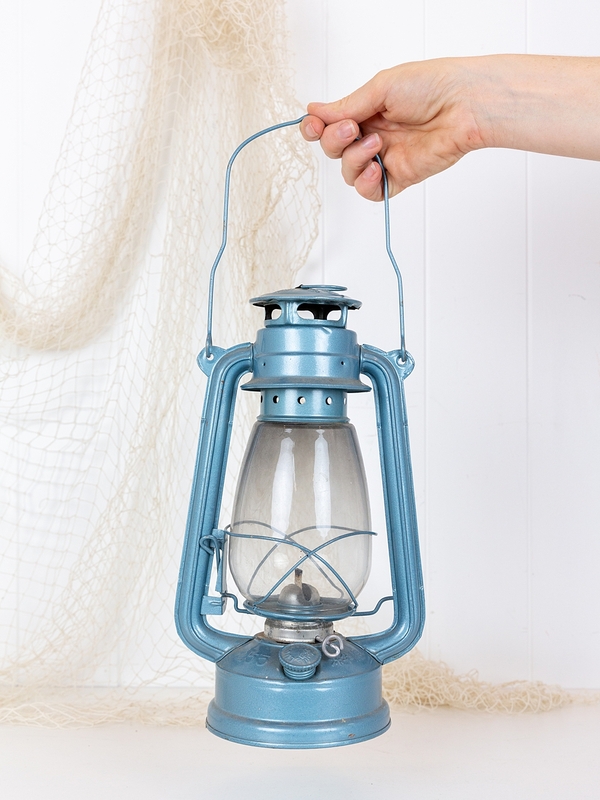 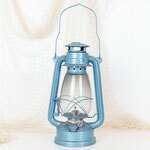 It is a soft metalic blue colour, and still has a wick inside! 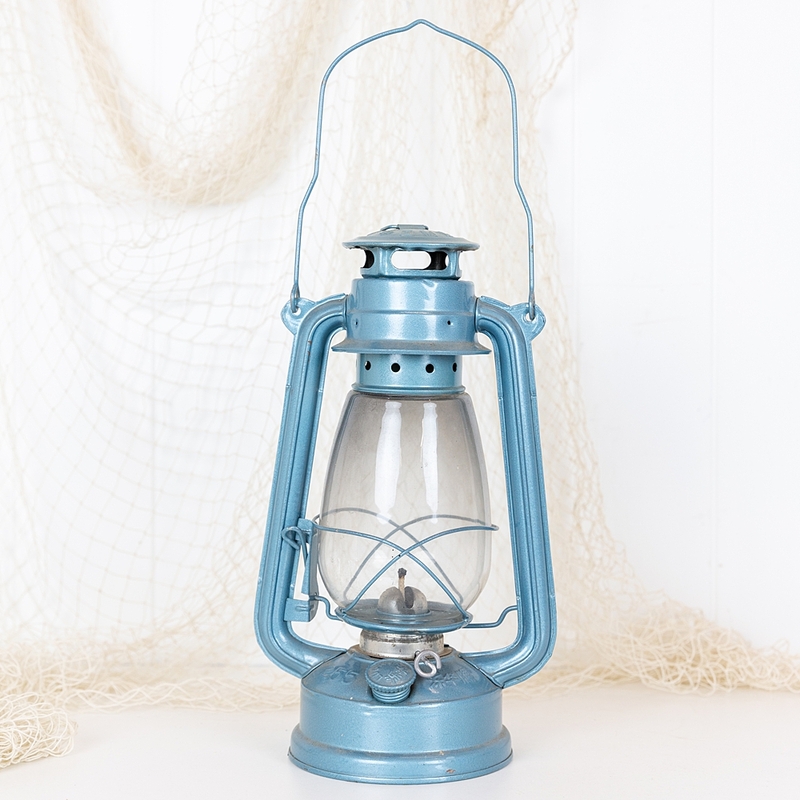 It would look wonderful hanging on the wall or on a hook by the door or on the deck. 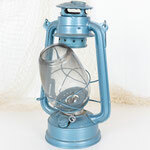 Perfect for a nautical themed house or bar.